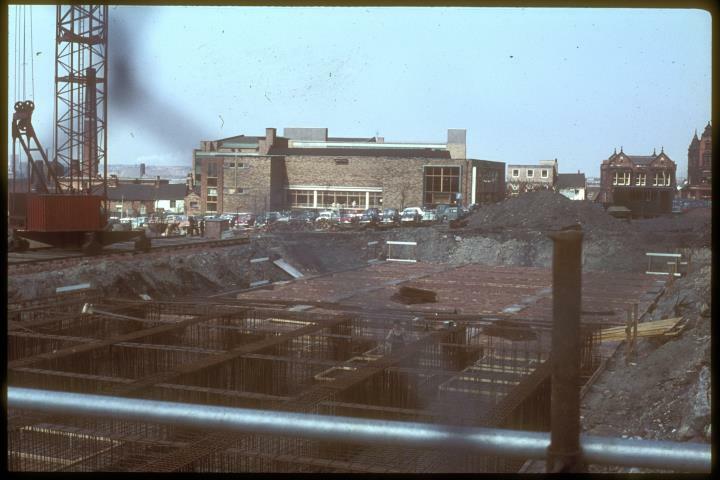 Description:This photograph is looking over the foundations of the City Central Library and Archives building towards the Potteries Museum and Art Gallery. This photograph was taken in 1968, before the museum building was extended in 1980/81. 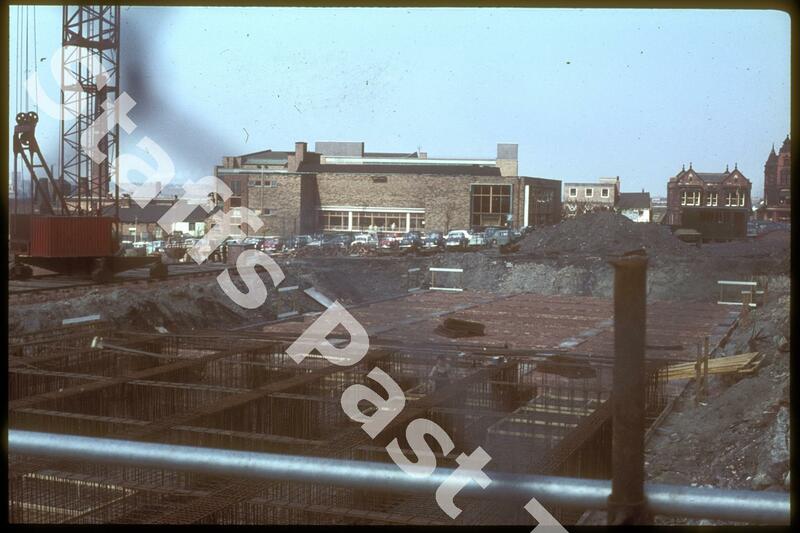 On the right hand edge are the buildings at the corner of Broad Street and Marsh Street. The double fronted building was the Mine Worker's Union building, now an Art Gallery. Next door, half off the photograph, is Samuel Cole's house and shop. Cole operated the Falcon Glassworks in Hanley. The library was finished and opened in 1970.